Recognizing everyone’s needs are different, Blais Construction offers its clients flexibility and assistance with a wide range of home building services. They can design your home from specifications or pictures you provide or modify one of their many custom home plans. During the design stage, Blais Construction will take as much time as needed with you to ensure the design plans meet with your approval and budget requirements. When producing your plans, careful considerations is given to every aspect to ensure the home is fully functional and designed to meet your family’s needs. The company is dedicated to building innovative homes that reflect excellent quality, craftsmanship and value. We will also help you select materials to add the finishing touches. You can select from a range of products that will meet the needs of your budget, offer healthier alternatives, or simply resulting in the style you desire. 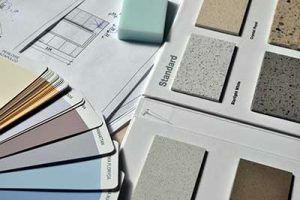 From flooring options, light fixtures, cabinets, railings and more, the result will be a custom home that is uniquely yours. By the time you’re ready to move in, you won’t just have the house you need, but the home you want and the lifestyle you desire. For more than 35 years Blais Construction has been designing and building homes of uncompromising quality throughout Windsor and Southern Ontario. Let us design your custom home – to fit your custom needs your family requires and the lifestyle you want.